They can complement an outfit, showcase your personality, and even show your support for a cause. But did you know that the socks you’re wearing also have health benefits? It’s true. Socks are not only for comfort and appearance—they also can help you minimize certain health risks or ailments. 1. They can help keep fungus away. Athlete’s foot and other fungi that spreads from person-to-person can be blocked from infecting your feet by wearing socks. Even walking around your own home barefoot can expose you to diseases that others may carry. 2. They keep you warm. Most people know you lose a lot of heat from your head. Did you also know the same applies to your feet? If your feet get cold, your body temperature also drops. Heat your feet and the rest of your body will warm up as well. 3. They can help you sleep. Despite what your mom used to tell you about not wearing socks to bed, some experts now say the practice can help you sleep better. According to the National Sleep Foundation, cold feet can cause restless sleep. Having warm feet, on the other hand, tell your brain to rest. 4. They can save your skin. Having your feet rub against floors and footwear throughout the day increases the risk of drying, cracking and chafing. 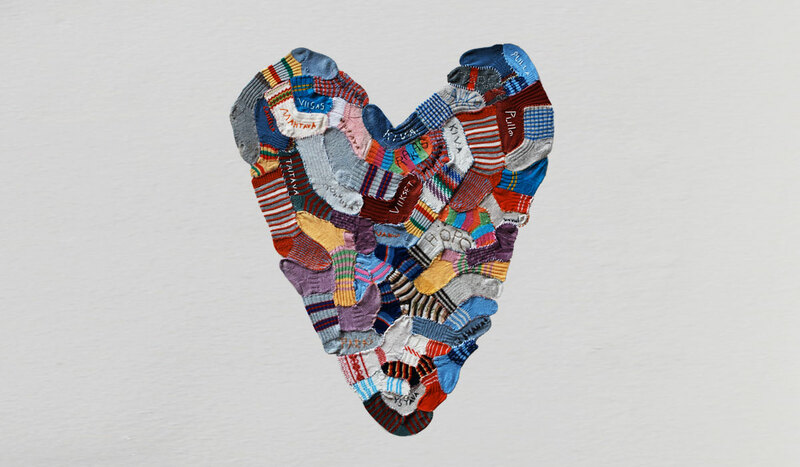 Socks insulate your feet from this wear and tear, helping the skin of your feet stay smooth. 5. They can minimize pain. In addition to keeping your skin from cracking, socks can also help protect your feet from hard surfaces or harsh objects on the ground. Although they can’t fully protect you, they do offer a barrier between your feet and hard floors or small objects. Over time, this can help minimize long-term foot pain. 6. They can prevent foot odor. Your feet sweat, and there’s little you can do about it. Your socks actually absorb the sweat and moisture away from your feet and your shoes. Since socks are easier to wash than shoes, it’s better if they absorb your sweat. In addition to the above, socks can be specifically designed for a variety of different health conditions including varicose veins and diabetes. So, the next time you pick up a pair of socks, remember that they’re doing a lot more for you than you think.